Modern equipment enables students to benefit from exposure to the workplace. A wide array of software and facilities specific to the food industry are available, meaning the student experience largely mirrors that of an actual workplace. With LSBU, you will enjoy the use of product development labs, our sensory evaluation suite and our extensive compositional and analytical suite. 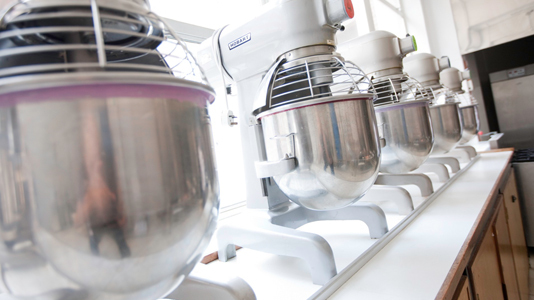 We are very proud of our groundbreaking Bakery School – from its traditional beginnings 120 years ago to its recent incorporation of the best contemporary facilities and techniques. The London Food Centre is our platform for enterprise and consultancy. It offers fantastic opportunities for students to engage with potential food industry employers.